On 21-25 August, staff of the IITA Southern Africa Research and Administrative Hub (SARAH) converged at the David Livingstone Safari Lodge in Livingstone, Zambia, to hold their annual regional Science Week and Retreat. 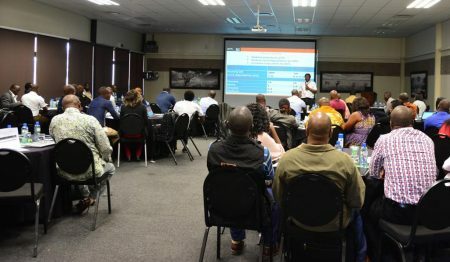 Around 80 members of staff based in Zambia, Malawi, and Mozambique—as well as invited guests from IITA-HQ and IITA-Nairobi—attended the 5-day event. 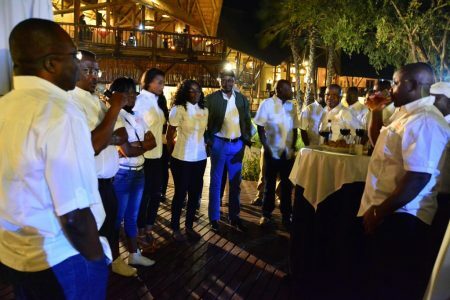 As a complementary event to the SA Hub retreat, regional staff also celebrated IITA’s 50th founding anniversary with a cocktail on 21 August at the David Livingstone Safari Lodge, fronting the scenic Zambezi River. Partners, donors, NGOs, and farmers in Malawi joyfully took part in IITA’s 50th anniversary celebration during the 14th Malawi National Agriculture fair held on 16 ̶18 August in Blantyre. 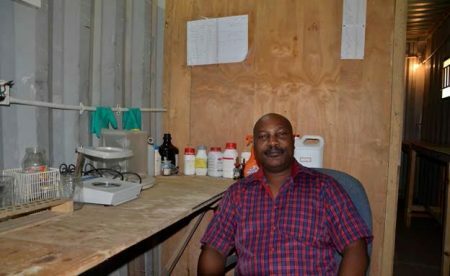 This is the second in a series of articles on the beneficiaries /successes of the N2Africa project, a large-scale, science-based, research-in-development project focused on putting nitrogen fixation to work for smallholder farmers growing legume crops in Africa. IITA-Malawi has been implementing the N2Africa project, funded by the Bill & Melinda Gates Foundation, since 2010. Malawi is one of eight countries in Africa where the project is operating.